Shri V.K. 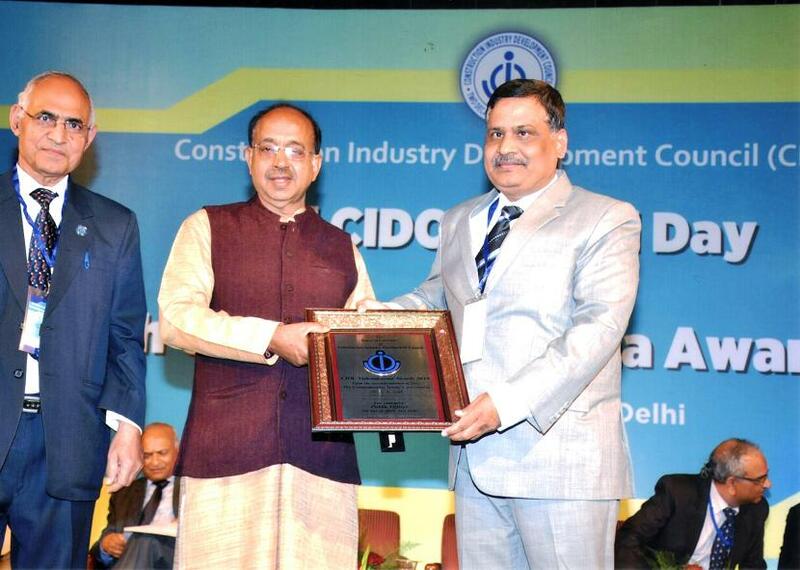 Singh, Director (Technical) of NEEPCO received the Trophy & Scroll of Commendation at 11th Construction Industry Development Council (CIDC) Vishwarkarma Awards 2019 on 7th March, 2019 at New Delhi. 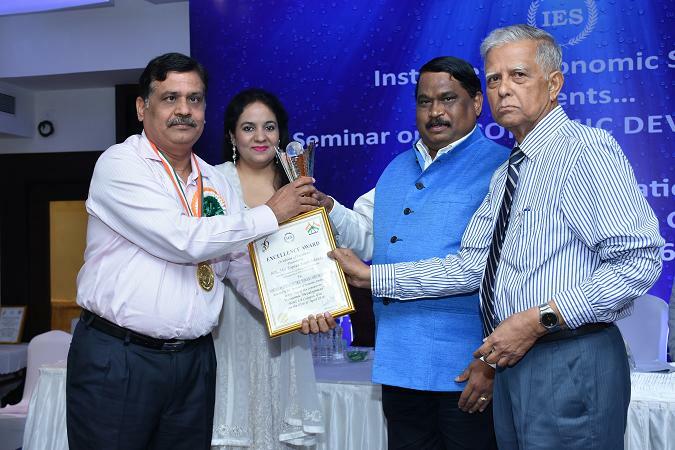 Shri.V.K.Singh Director(Technical) was conferred the prestigious Eminent Electrical Engineer award for 2018 by the Institution of Engineers (India). 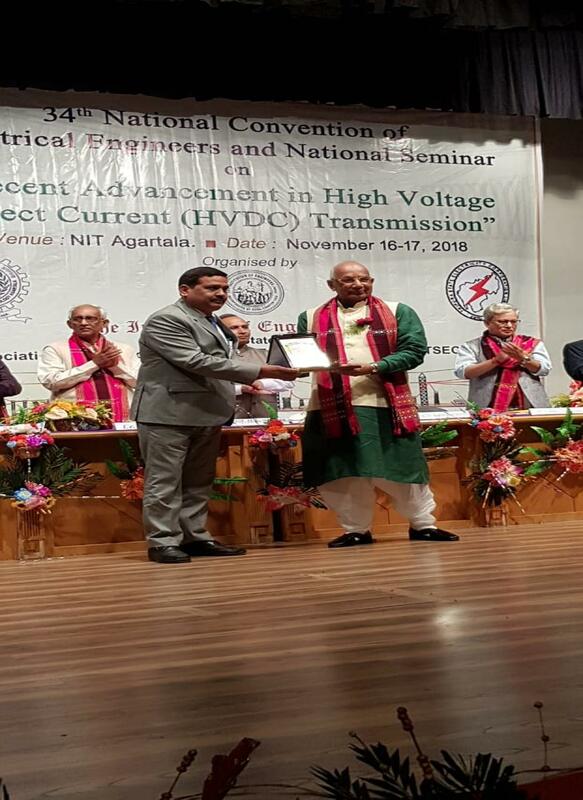 Award was given by Prof. Kaptan Singh Solanki, Hon'ble Governor of Tripura in the presence of Shri Jishnu Deb Verma, Hon'ble Dy.CM of Tripura at NIT Agartala on 16th November 2018. RFP for Engagement of Registrar for Disinvestment of paid up equity of NEEPCO. Smti. 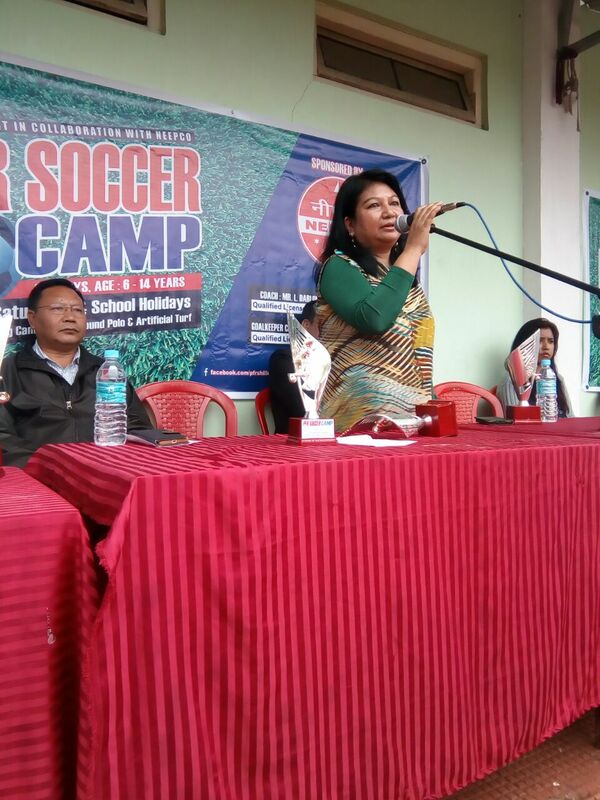 L. Kharmawphlang ,Senior Manager (CC) inaugurated the PFR Soccer Camp on Saturday at MFA artificial turf in the presence of Dr. Salam D.Singh, Youth Coordinator NYK Sangathan, Shri. Robert Kharjahrin, Secretary HYC Central Body and other dignitaries. The Camp is organised by Pay For Right Y& CC in collaboration with NEEPCO. The objective of the Camp is to develop individual performance, to make the player learn how they can contribute to a team, to demonstrate good sportsmanship and the importance of team play and eventually to select the player from the camp to represent the club in upcoming tournaments. 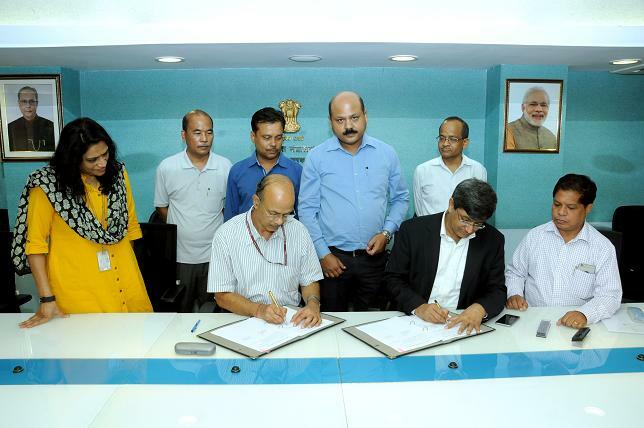 NEEPCO signed an MoU with Ministry of Power, Govt. of India defining the Performance Guarantee Parameters for 2018-19 . Sh. A.K. Bhalla, Secretary, Power and Sh. 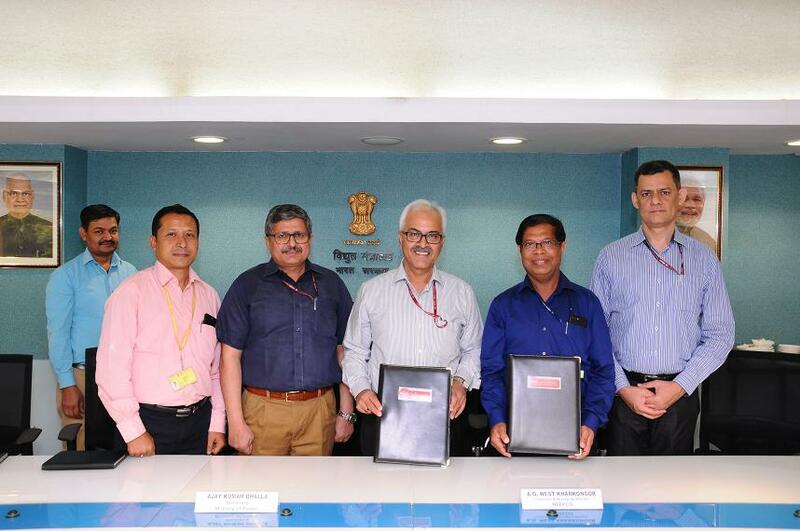 A. G. West Kharkongor, CMD signed the MoU at Ministry in Delhi on 26.4.18. NEEPCO has set a generation target of 8650 MU for the year 2018-19. 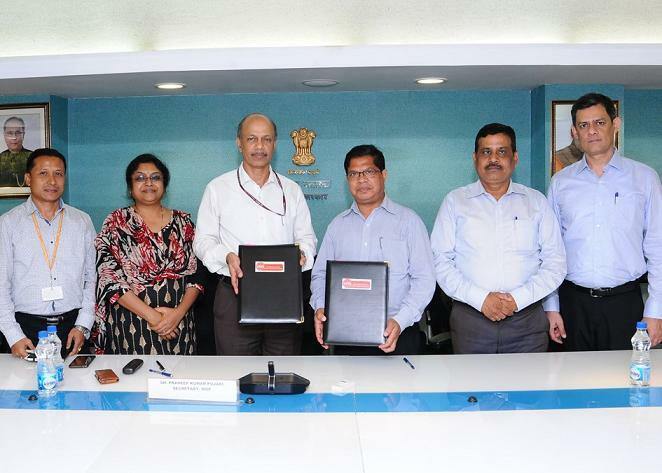 The MoU for the year 2017-18 was signed between CMD, NEEPCO and the Secretary (Power), Govt. of India at New Delhi on 20.6.2017. 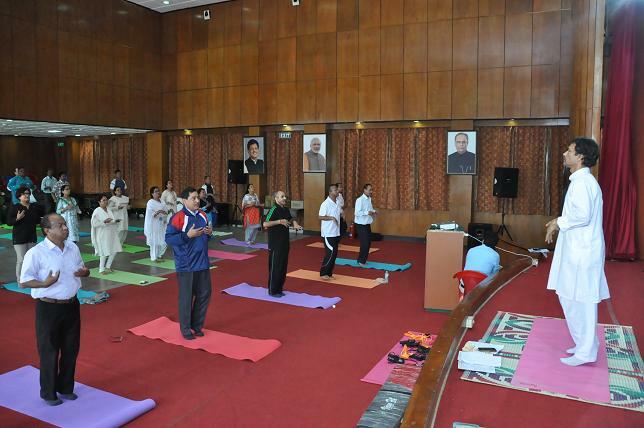 A Yoga Camp was organised for the employees of the Coordination Office, Delhi on International Yoga Day. 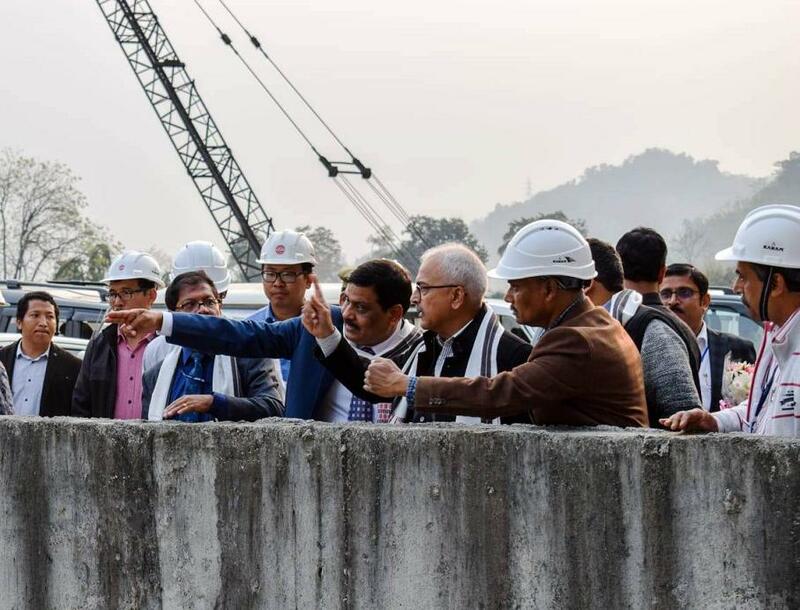 Sri Malcolm D. Roy, Executive Director (CP, CPM and Fin) visited Kameng Hydro Electric Project along with a team of officers from Corporate Office w.e.f. 20.03.2017 to 23.03.2017 to monitor the progress as the project is scheduled for commissioning shortly. 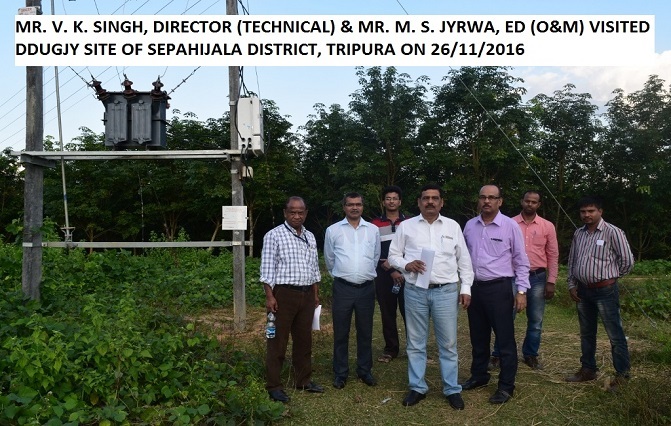 Mr. V.K Singh, Director(Tech) & Mr. M.S.Jyrwa, ED(O & M) visited DDUGJY site of Sepahijala District, Tripura on 26/11/2016. 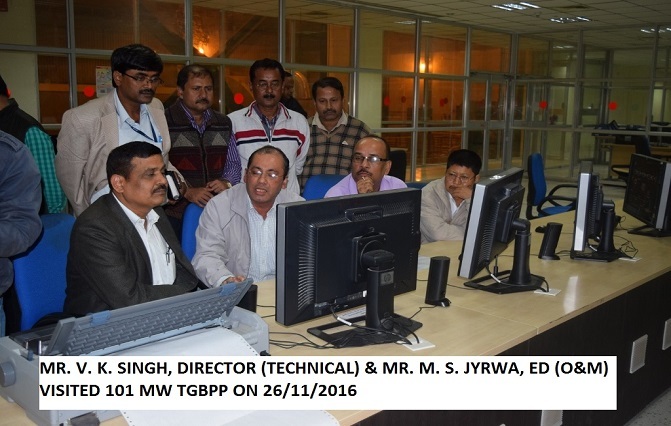 Mr. V.K Singh, Director(Tech) & Mr. M.S.Jyrwa, ED(O & M) visited 101 MB TGBPP on 26/11/2016. 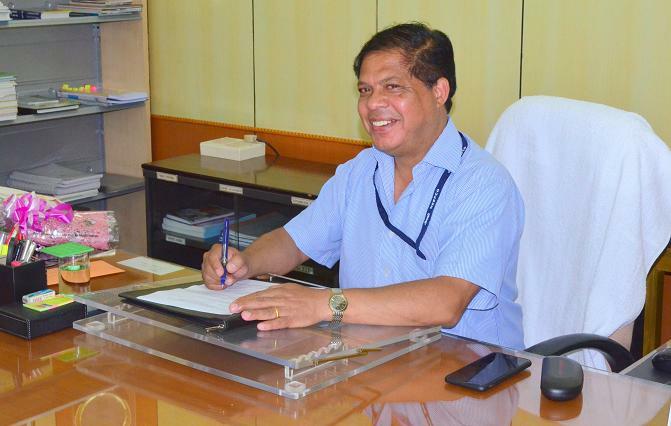 Shri A.G.West Kharkongor has assumed charge as Chairman and Managing Director of North Eastern Electric Power Corporation Ltd (NEEPCO) on the 29th August 2016. 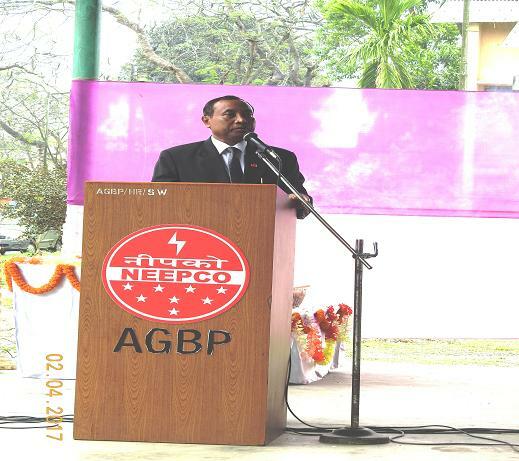 Shri Kharkongor joined the Corporation in 1993 and was appointed Director (Finance) of NEEPCO w.e.f. 19-08-2010. An alumnus of IIT, Bombay as well as IIM, Calcutta, Shri Kharkongor is an experienced professional who has arranged the financing of all the major projects of NEEPCO. He started his career with Bharat Petroleum Corporation Ltd. He is a member of Finance Committee of the Tezpur University, Assam. He was also a Member (Finance) of Damodar Valley Corporation, Kolkata from April 2013 to October 2014. He is keenly involved in community and societal activities. 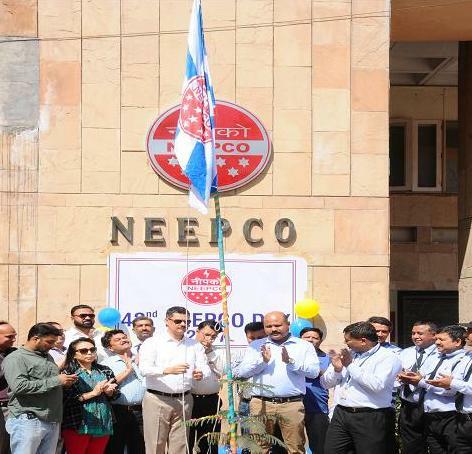 Report on celebration of 70th Independence Day by NEEPCO in all its Projects/Offices. 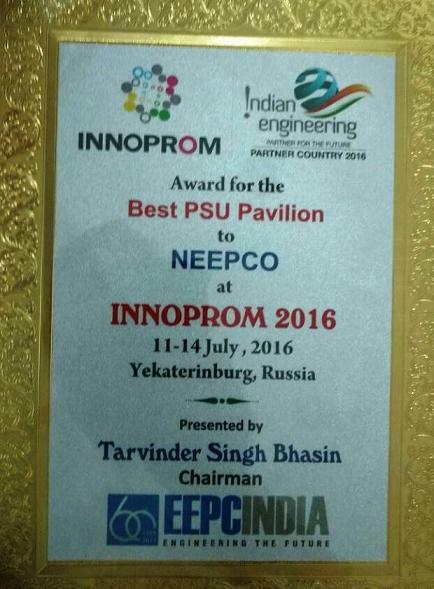 In the recently concluded INNORPROM 2016 held at Ekaterinburg, Russia, NEEPCO's pavilion has been awarded as the Best PSU Pavilion. NEEPCO participated in the Russian INNOPROM 2016 held at Yekaterinburg from 10-14 July, 2016. India was the Partner Country at INNOPROM 2016, Russia's main International Trade fair. 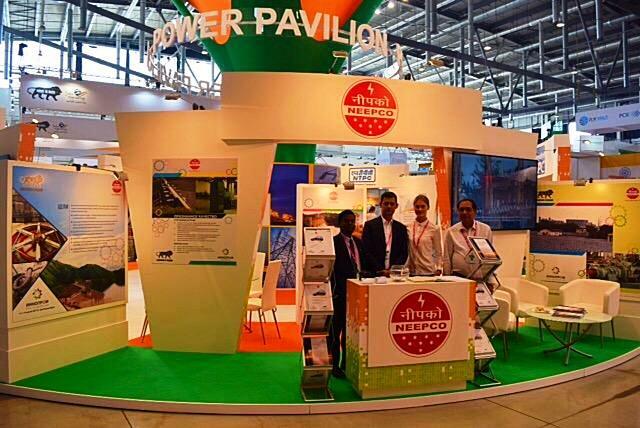 The Power Pavilion was represented by NEEPCO, NTPC, NHPC and Powergrid from India. The fair was inaugurated by his excellency the Russian Prime Minister Mr. Dmitry Medvedev. Smt. Nirmala Sitharam, Union Minister for Commerce & Industries was also present along with the Chief Ministers of Maharashtra, Rajasthan and Andhra Pradesh. NEEPCO participated in the Russian INNOPROM 2016 held at Yekaterinburg from 10-14 July, 2016. India was the Partner Country at INNOPROM 2016, Russia's main International Trade fair. 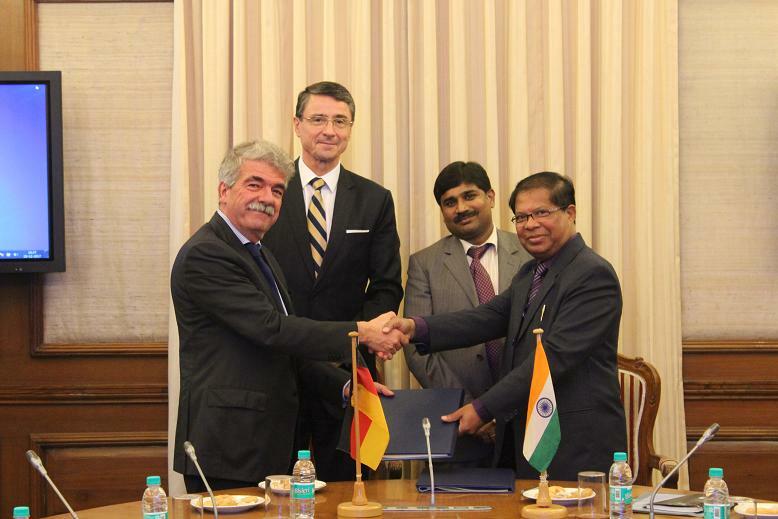 The Power Pavilion was represented by NEEPCO, NTPC, NHPC and Powergrid from India. The fair was inaugurated by his excellency the Russian Prime Minister Mr. Dmitry Medvedev. Smt. Nirmala Sitharam, Union Minister for Commerce & Industries was also present along with the Chief Ministers of Maharashtra, Rajasthan and Andhra Pradesh. World Environment Day 2016 was observed in Corporate Head Quarter, Shillong on the 6th June 2016. 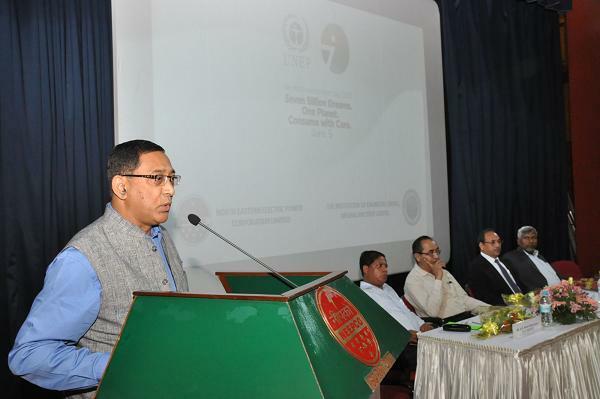 Addressing the gathering, Shri S. Borgohain, Director(Personnel) emphasized on the importance of sensitization and creation of awareness on the need to preserve and conserve. Theme talk on World Environment Day, 2016 was delivered by Shri N.K Mao, GM (E/M), Env & RR Wing, NEEPCO. Shri K. Deb, Sr. Mgr. (C), Env. 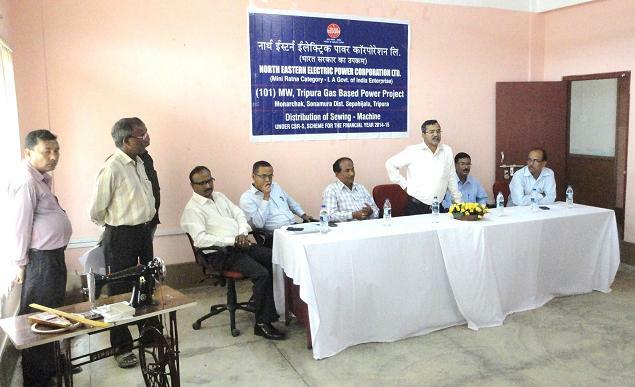 & RR Wing, NEEPCO delivered the welcome address while Shri B.V. Kharlyngdoh, A.O. (Env. ), Env. & RR Wing, NEEPCO, proposed the vote of thanks. A short documentary on Kaziranga National Park was also screened. Shri V.K. Singh, Director (Technical) is seen receiving the NATIONAL EXCELLENCE AWARD conferred to Shri P.C. Pankaj, CMD NEEPCO and a certificate of Excellence presented to NEEPCO from the Hon'ble Speaker of Goa. The event was organized by the Institute of Economic Studies at Hotel LA Calypso, Goa on 23rd April 2016. 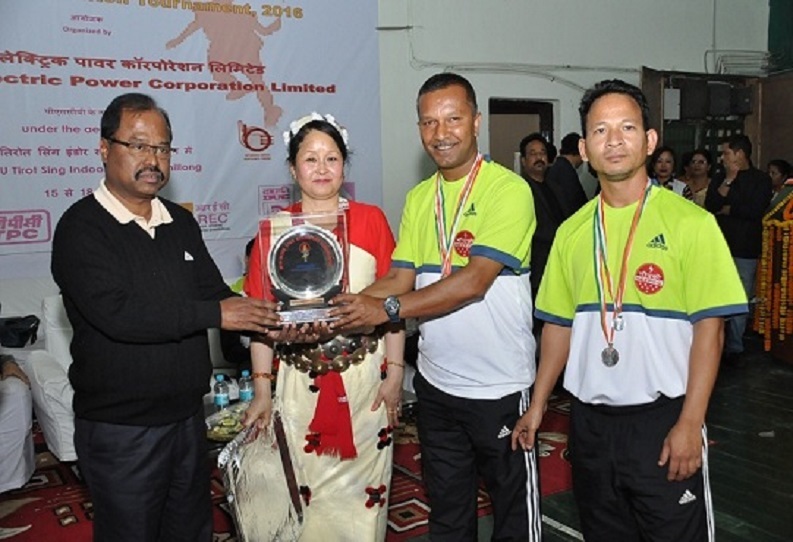 The 20th Inter CPSU Badminton Tournament was inaugurated by Shri P.C.Pankaj, CMD, NEEPCO, today at the Tirot Singh Indoor Stadium, Shillong. The tournament is being hosted by NEEPCO from 15th- 18th March 2016. Altogether 8 teams are participating in the event, including, BBMB, DVC, MoP, Powergrid, NHPC, PFC, REC, SJVN, THDC and hosts, NEEPCO. During his probably the last visit to Delhi in his official capacity as Director (Technical), the Coordination Office Delhi felicitated Mr. Utpal Moral in a meeting held on 23.2.16 for his outstanding contribution to the Corporation. 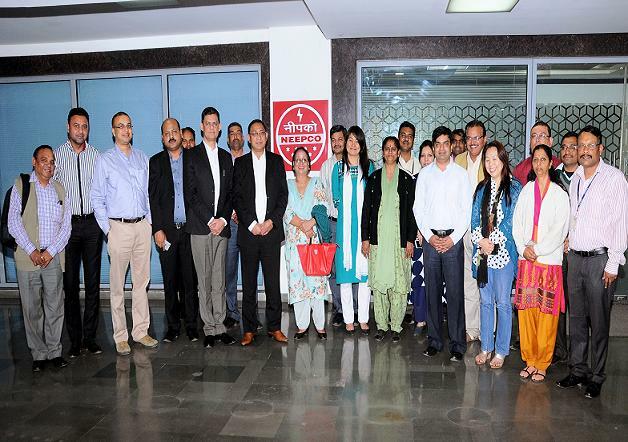 Due to his long association with the Delhi office he shared a very affectionate relation with all the employees. His career in NEEPCO started from Delhi office as Assistant Engineer and after postings at various locations, finally left from Delhi office as Executive Director, before joining the Corporation as Director (Technical). All the employees from Delhi office wished him a healthy and a beautiful retired life. The employees of Coordination Office, Delhi celebrated Christmas on 23rd December, 2015 with lot of cheer and happiness. Everyone joined hands to decorate the Christmas tree with stars, lights, toys, etc. and the office was lit up with various decorations. The Christmas cake was cut by the Coordinator and everyone enjoyed the cake. They sang Christmas carol and enjoyed the occasion. 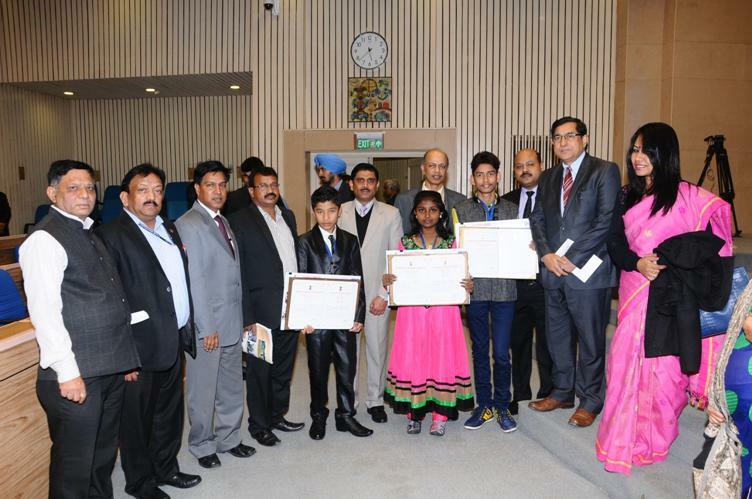 The National Level Painting Competition was held at New Delhi on 12th December 2015. 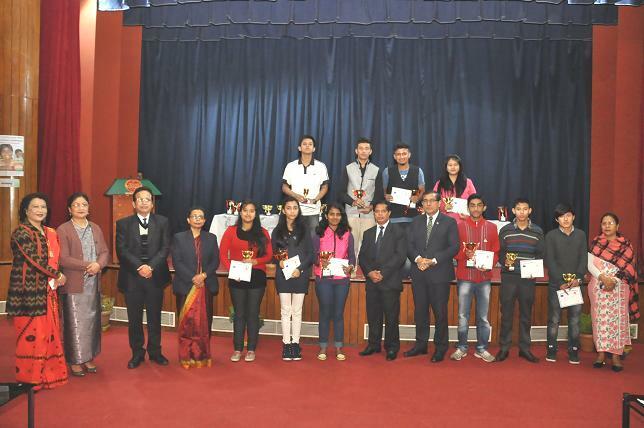 Shri Arghadip Paul of Tripura got the 1st Prize in Category B , Miss Bidipta Dev of Tripura and Shri Fedrick Edgar Warjari of Meghalaya got the 3rd Prize in Category A. 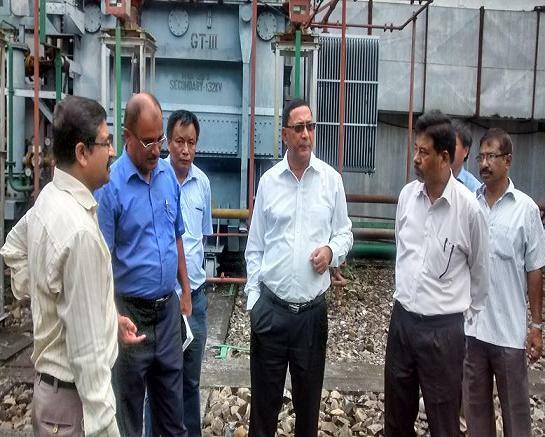 Seen in the picture is Shri Satyabrata Borgohain , Director (P) of NEEPCO along with Secy Power, Shri. P.K. Pujari with the winners and all the nodal officers. NEEPCO was the nodal agency for all the four states namely, Meghalaya, Tripura, Mizoram and Nagaland. The Prize was presented by Honable Minister of State (independent Charge) for Power, Coal and New & Renewable Energy at Vigyan Bhawan, New Delhi on the occasion of National Energy Conservation Day Function on 14th December 2015. Under the development of renewable energy scheme for the Corporation, Agartala Gas Turbine Power Plant (AGTP) has installed & commissioned an Off Grid 20 KWp Solar Plant on 29.11.2015 at AGTP power house premises on its part of a plan for installation of around 500 KWp solar plant in phases. 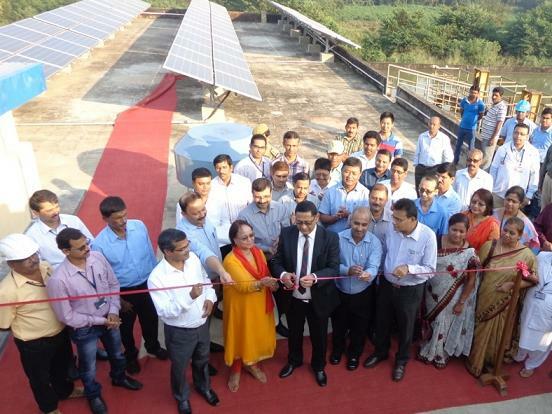 The Solar Plant was inaugurated by Shri Utpal Moral, Director (Technical), NEEPCO the in presence of Shri B C Saha Executive Director (D&E), Shri Subrata Saha, Head of Plant, AGTP, Shri S R Biswas, Head of Project, TGBP and other senior officials and employees of NEEPCO. This 20 KW solar installation with an approximate cost of Rs. 30 lakh shall lighten the AGTP power house premises like peripheral street lighting, Gas Turbine hall, Switchyard lighting etc. which in turn shall reduce the auxiliary power consumption of the Plant to some extent. 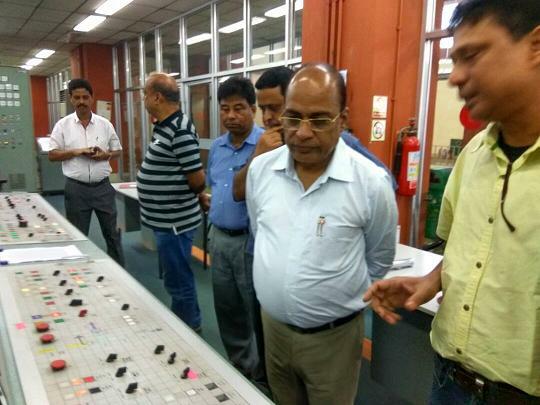 The Director (Technical) visited Doyang HEP on 26 October 2015 and reviewed various O&M aspects of the plant. During discussion with officers of the plant, he emphasised for better O&M of the plant, energy conservation, reduction of auxiliary consumption and profit oriented measure. he Asia Pacific HRM Congress in its 14th edition awarded Shri Satyabrata Borgohain, Director, Personnel NEEPCO, as one of the 100 MOST INFLUENTIAL HR PROFESSIONALS IN ASIA in a glitering function at Hotel Taj Viventa, Bangalore on 11th September, 2015. 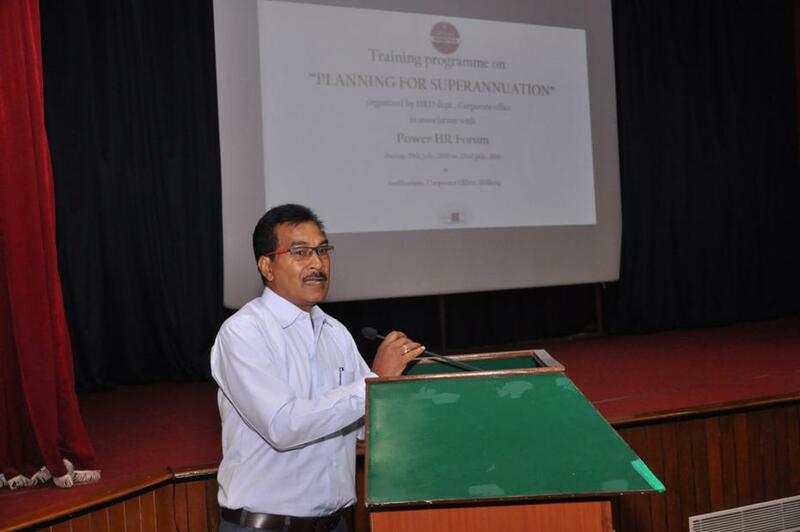 The Asia Pacific HRM Congress conducted a seminar on “Building a Sustainable HR Practice For Organisational Development” and eminent HR professionals from private as well as public sector from various industries attended the seminar. Shri Satyabrata Borgohain, Director, Personnel NEEPCO, was recognized for his immense contribution in the field of HR and innovative HR practices. The award is amongst the most prestigious awards in the country in the field of HR and criteria such as Strategic Perspective, Future Orientation, Integrity and Ethics, Track Record, HR Impact ande other HR Competencies were taken into account for conferring the award. 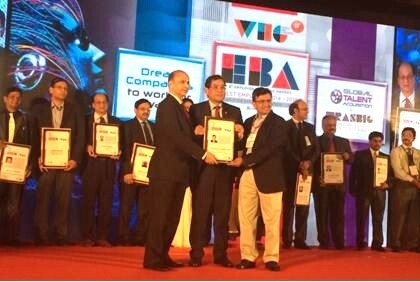 The jury for this award comprised of eminent senior HR leaders, researchers, academicians like Dr Arun Arora, Ex CEO, The Economic Times, Mr Jack Jones, Global Chairman, World HRD Congress, Dr Harish Mehta, Founder Chairman, NASSCOM, Prof Tom Hilton, Global Chairman, Asia Pacific HRM Congress, to name a few. 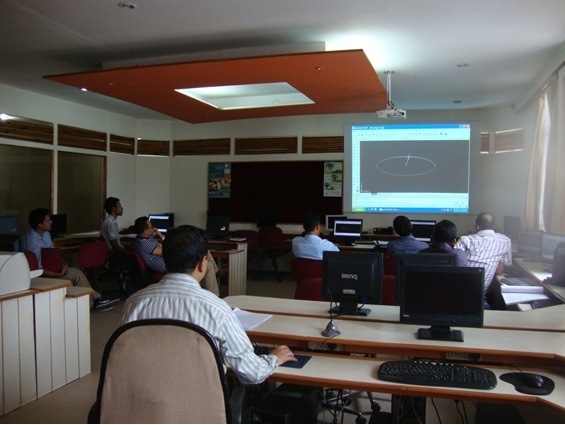 Training program on ‘Auto CAD’ organized by HRD Centre, Corporate Office in association with Indian Institute of Professional Studies (IIPS) for our Officials during 17th to 20th August, 2015 at IIPS campus, Shillong. As a responsible corporate citizen NEEPCO supports unemployed youths, dropout students and out of school students at Shillong. To forward the above vision under CSR, Shri Utpal Moral, Director (Technical), handed over the cheques for an amount of Rs. 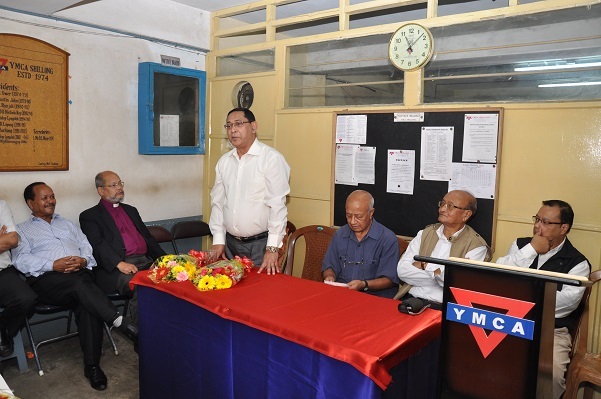 4.53 Lakhs to YMCA Shillong for computers and accessories to enhance the computer knowledge capacities and skill of the unemployed youths of Shillong to meet up the current market job requirements. In addition, Shri Utpal Moral Director(T) handed over the cheque for an amount of Rs. 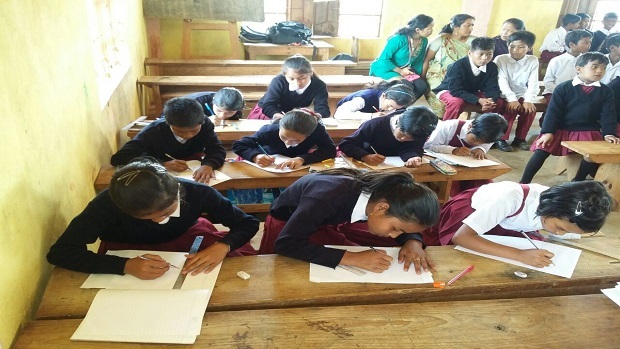 5 Lakhs to Bellefonte Community College, Shillong a institution provided vocational training and academic courses to the school dropout youths and out of school children. Mr. Utpal Moral , Director (Technical), NEEPCO Ltd., along with Mr. M.S.Jwyra (ED O&M) Nodal Officer CSR & Mr. P.S.Deb, ED(C&P) distributed the Machines and Equipments of food processing , among the unemployed youths of Ri-Bhoi district Meghalaya under CSR scheme of the Corporation. 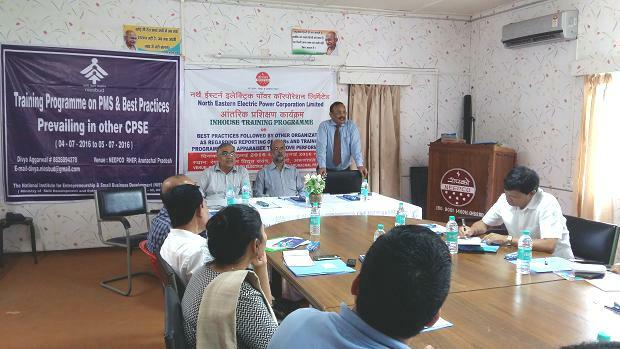 NEEPCO in association with Rural Resource Training Centre (RRTC), Umran , design and architected the Food Processing Enterpreneurship Development Programme for 22 nos. of youths of Ri-Bhoi district Meghalaya. The participants youths were undergone for one month in house training programme at RRTC umran for various session of theoretical and practical classes such as removal of dependency syndrome and create interest for self employment, skill up gradation in scientific preservation and processing of various food products available at Ri-Bhoi , learning importance of packaging, quality labeling and marketing of products and risk taking behavior to achieve the goal. NEEPCO has provided 21.98 Lakhs for the programme including expenditure on in-house training and procurement of Machinery for the participants. 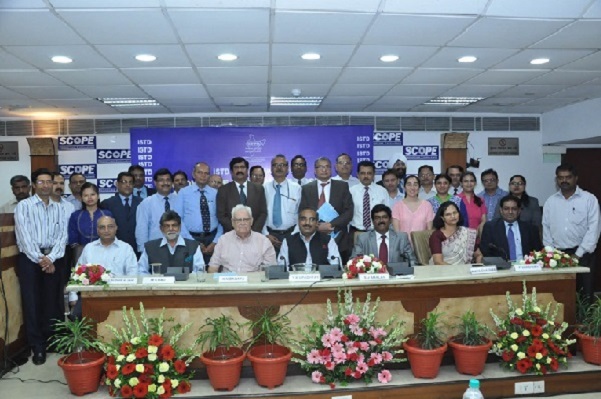 Indian chamber of Commerce (ICC), in association with Standing Conference of Public Enterprise (SCOPE) under the aegis of Department of Public Enterprises (DPE), Ministry of Heavy Industries & Public Enterprises, Government of India organised a one day “CSR Conclave 2015” with an aim to link Public Enterprises, Corporate & Society for inclusive growth on the 21st August, 2015 at Hotel Brahmaputra Ashok, Guwahati. 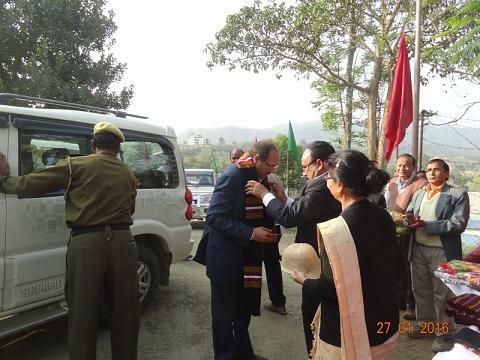 The conclave was inaugurated by Shmti Bijoya Chakraborty, Hon’ble MP from Assam. Shri A. Luikham , Secretery to Govt. of India, DPE, was the guest of honour in the event. 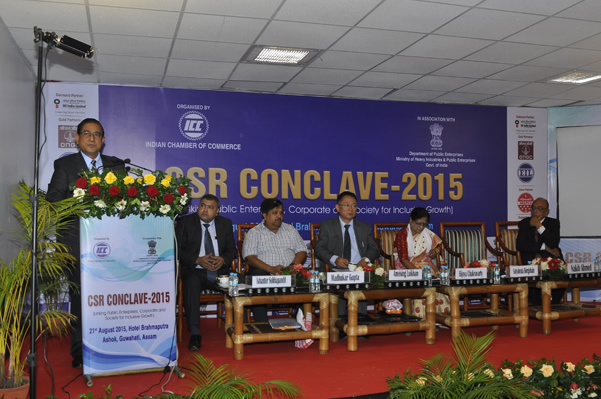 Addressing the gathering of more than 100 participants consisting of CSR regulators, Technical experts from on CSR implementation from PSEs, NGOs and other stakeholders, Shri Satyabrata Borgohain, the Chairman of NER Chapter of SCOPE & Director(Personnel),NEEPCO, during his inaugural key note speech, elaborated that the concept of CSR have existed associated with the human civilisation in India in one form or another which have now been channelized with DPE guidelines on CSR and Companies Act recently in the form of mandate given by the Government so as to achieve a balance goal of socio-economic and environmental sustainability. He emphasized on the requirement of creating a mutual value in all activities of CSR which would ultimately leads to sustainability. CSR plans and activities based on creating mutual value reflecting the commonality of interest amongst the CSR fund providers and other stakeholders brings transparency, trust, equity and empowerment to the society. He urged the fellow PSE executives to look inwards to understand ourselves and to look out to understand others from their standpoint so that a shared value amongst employees, community and other stakeholders is understood and sensitise everyone around for a collective endeavour, and decide our future for a sustainable human development since the whole world itself is small family. Further he thanked DPE, Government of India for giving a platform to SCOPE to share experience, knowledge and disseminate information on the activities on CSR by PSEs in the North Eastern Region of the Country . 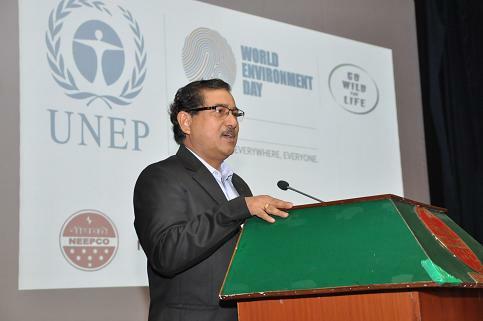 The World Environment Day was celebrated by North Eastern Electric Power Corporation Ltd. On 5th June, 2015 in association with Institution of Engineers (India), Meghalaya State Centre at the NEEPCO Corporate Head Quarter, Shillong. 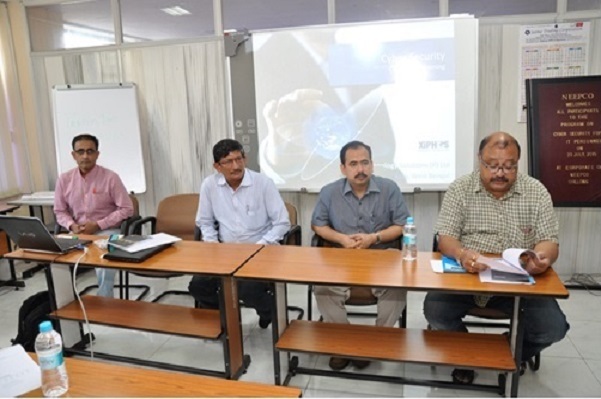 The meeting was addressed by Shri P.C. Pankaj, CMD, NEEPCO and the Key-note address was delivered by Shri U. Moral, Director (Technical), NEEPCO who also is the Chairman of the Institution of Engineers (India), Meghalaya State Centre. Dr. O.P. 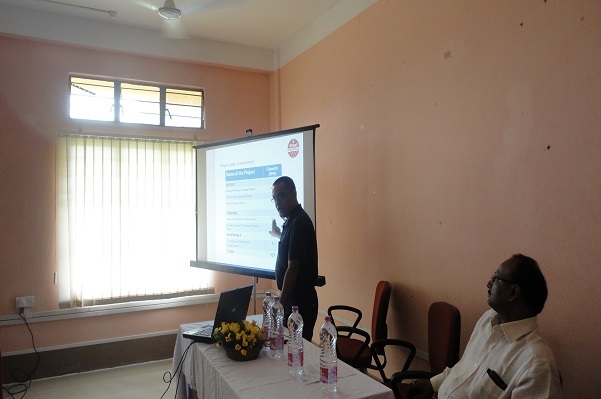 Singh, Professor & Head, Department of Environmental Studies, NEHU graced the occasion as guest speaker and Dr. D.K. 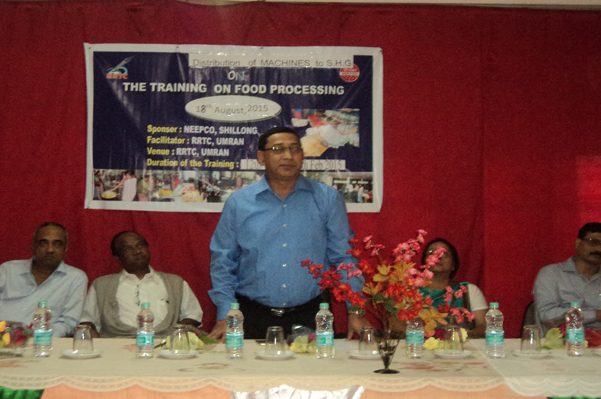 Saikia, Director, NIT, Meghalaya, who also graced the occasion as Guest of Honour, addressed the meeting. 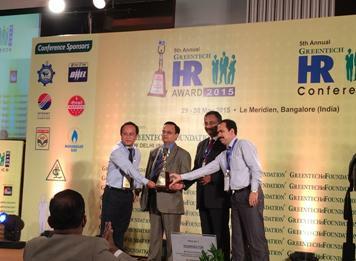 Shri Satyabrata Borgohain, Director(Personnel), North Eastern Electric Power Corporation Ltd.(NEEPCO) has been conferred with the Gold HR Leader award by the Greentech HR Foundation during a glittering Award Ceremony of the 5th Greentech HR Award Ceremony held at Le Meridien, Bangalore on 29th May, 2015. The award has been conferred to him in recognition of his contribution to the organisation during the last one & half year in bringing about transformational change in the lives of employees impacting on the overall improved work culture, their productivity, creativity in the workplace by introduction of innovative HR policies & practices. Shri Borgohain is an outstanding HR Professional with 33 years of rich experience in Human Resource Management, Strategic Human Capital Engagement, Talent Management, Employees’ Relations and OD Intervention. NEEPCO has been awarded with Greentech HR Gold Award for Training Excellence during by the Greentech HR Foundation during its glittering 5th Greentech HR Award held at Le Meridien, Bangalore on 29th May, 2015. NEEPCO has been conferred with the award for its innovative Competency Development Model and its practices which has been replicated by others CPSEs. The Competency Development Model includes Assessment of Competency Level vis-a vis Standard, Training Design for groups of Competency gaps identified, Training Delivery, Feedback & Impact Assessments for Return on Development Investment. Some important highlights are Global standard Certifications program, e-learning, Inter CPSE Knowledge Exchange Program, Transfer of Technology with OEMs right from Conceptualization to Manufacturing stage in Team, Competency Development for Operators, Technicians through customized programs with NPTI, ITIs for remusteration & redeployment etc. Shri Satyabrata Borgohain, Director (Personnel), NEEPCO, Shillong has been awarded Bureaucracy Today - Star PSU Director (HR) of the year award (Mini Ratna & Small PSU). 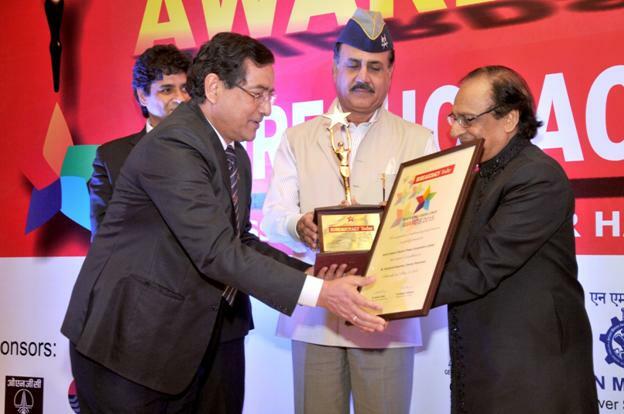 The award was presented by noted gazal singer Gulam Ali, Lt. General Rtd. A.K. Singh, Governor Andaman & Nicobar Island and Prof. Dr. Ram Shankar Katheria, Union Minister of State for Home in a glittering function held at Hotel Le Meridian, New Delhi on 15th May 2015. Inauguration of Toilet at St. John Vianney’s School, Tyrsad by Shri Kenedy Khyriem, MLA on 8th May, 2015 in presence of Shri D.S.Rai, HOP, Mawphu H.E. 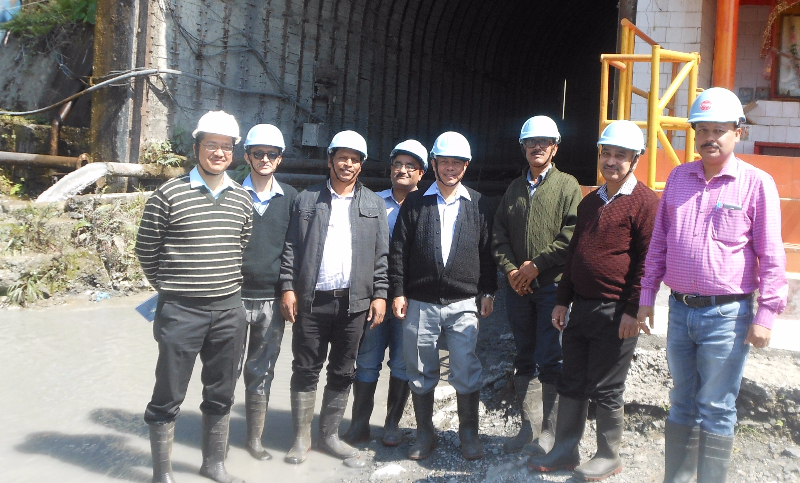 Project, NEEPCO, Mawsynram. 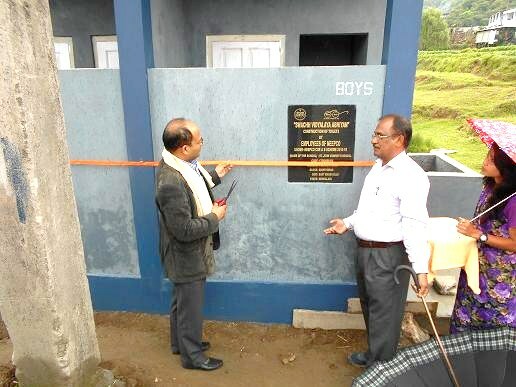 The Toilet was constructed by NEEPCO against Swachh Vidyalaya Abhiyan Under CSR Scheme. 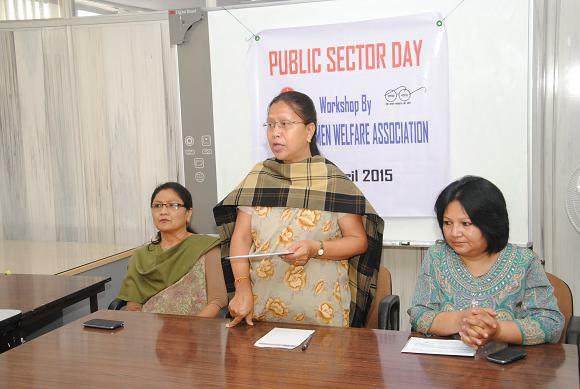 As part of the Public Sector Day celebrations, a Workshop was organised at the HRD Centre on the 16th April 2015 with a special emphasis on Swachh Bharat and Skill Development in association with NEEPCO Women Welfare Association(NWWA). Inaugurating the programme, Smti L.A.Kharmawphlang, Sr. Manager (CC) briefly explained the significance of Public Sector Day and the objective of the Workshop. Speaking as Resource person, Smti D.G.L. Mawnai, President of the NWWA dwelt at length on Skill development and its impact, emphasising on the Swachh Bharat campaign and the role of women in not only spreading awareness but also in practical skills such as making paper bags from reusable paper, etc. 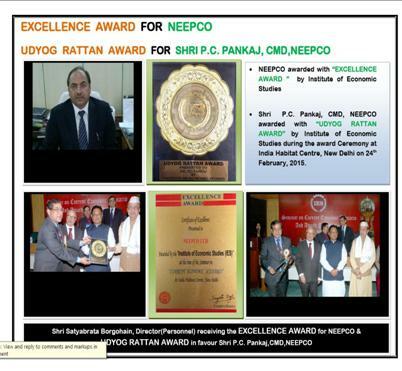 NEEPCO awarded with EXCELLENCE AWARD by Institute of Economic Studies at India Habitat Centre, New Delhi on 24th February, 2015. 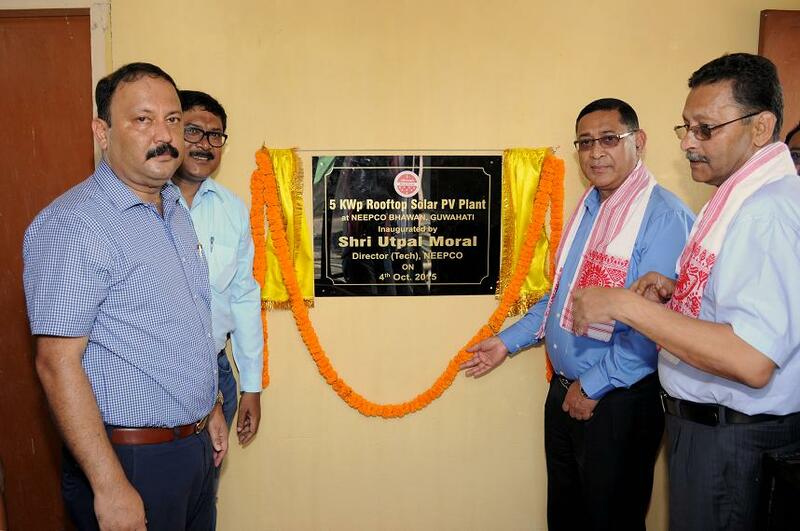 5 MWp Grid Interactive Solar PV Power Plant installed at Monarchak in Sepahijala District of Tripura by NEEPCO was commissioned on 15th February, 2015. Shri Satyabrata Borgohain, Director(Personnel), NEEPCO, has been conferred with the CHRO Asia award titled '100 Most Talented Global HR Leaders Award' during a glittering Award Ceremony of World HRD Congress held at Taj Lands End, Mumbai on 16th February, 2015. Shri Borgohain is an outstanding HR Professional with 32 years of rich experience in Human Resource Management, Strategic Human Capital Engagement, Talent Management, Employees’ Relations and OD Intervention. He has been instrumental in bringing about major transformational changes in NEEPCO. 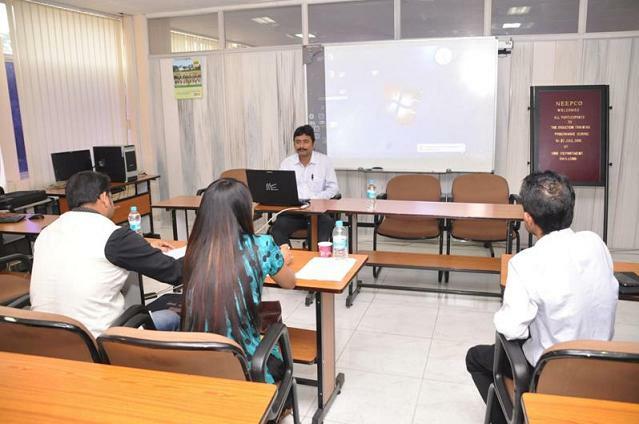 Sri Borgohain has globally accredited MBA degree from International Centre for Promotion of Enterprise, Slovenia, an inter-governmental organisation of constituent countries created by the United Nations. A Gold Medallist in his Post Graduation studies with specialisation in Personnel Management & Labour Welfare, he also obtained B.Sc. LLB degree.